More on the LumiSource Adjustable Wood Top Bar Table (Brown) BT-ADJ23TW BN below. The Adjustable Bar Table is versatile for many uses. From a range of 26" to 41" height, it can be used as an intimate table for two or a party bar table that spins 360 degrees! 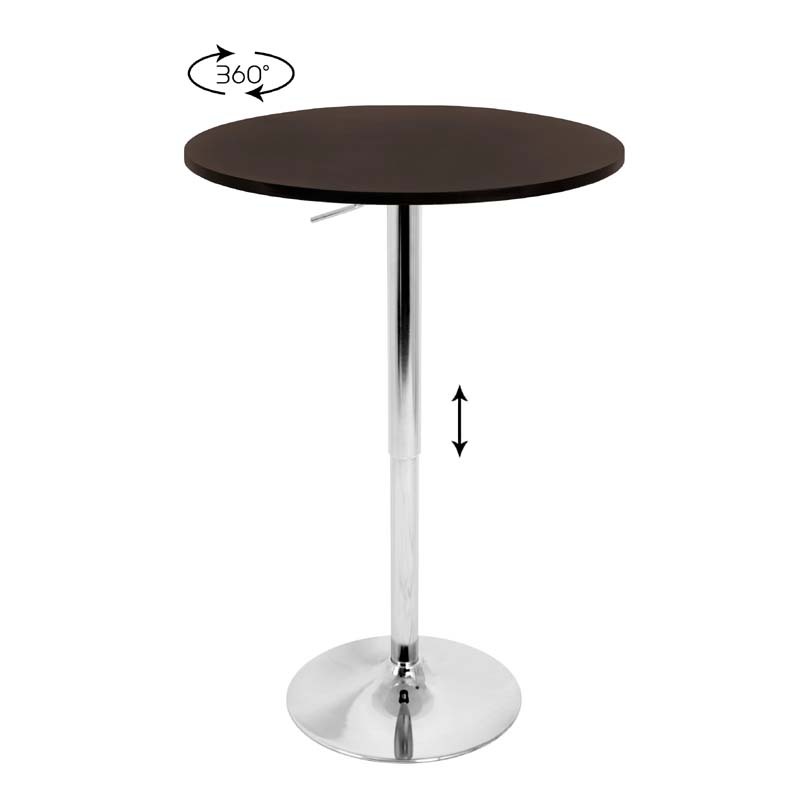 Comes with a brown wood top measuring 23.5" diameter and polished chrome pole and base. Adjustable height from 26 to 41 in. Height: 26 - 41 in.